Gold In Ruins 2 is new point and click escape game developed by Ainars for MiniArcadeBox and sponsored by Escape Fan. You are trapped inside abandoned building ruins. Search this location for hidden gold, coins, artifacts and key. Find and collect 8 pieces of gold and key(total 9 items). 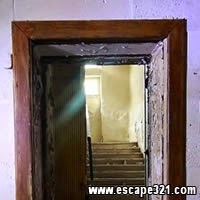 Use key to escape from ruins of abandoned building. Good Luck!